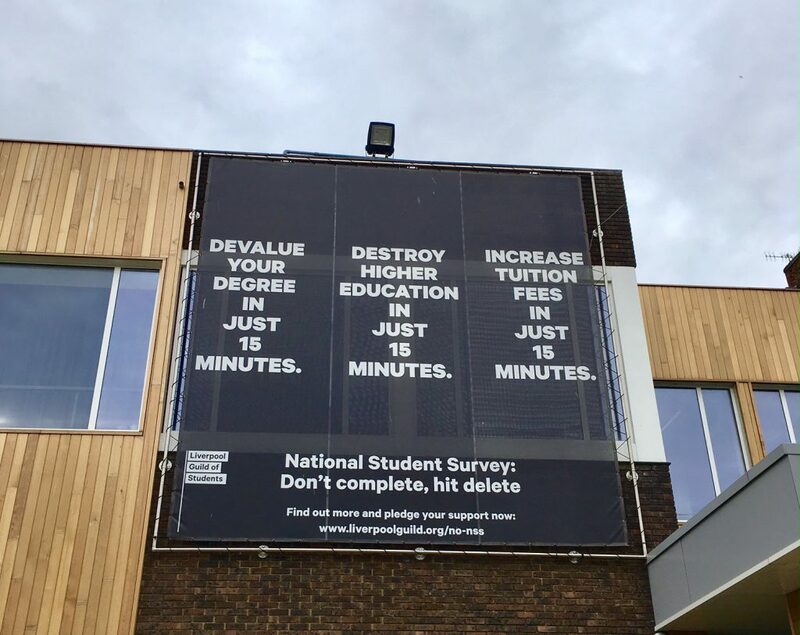 One last highlight from my trip to the University of Liverpool that I didn’t manage to squeeze into my last blog post…This powerful statement on the outside of the Liverpool Guild of Students’ Union. Kudos to the students for their unambiguous message. This entry was posted in higher education, politics and tagged altc, higher education. Bookmark the permalink.